Appanoose County, Rathbun Lake, Lake Thunderhead, Lake Sundown, Wayne, Davis, Monroe and Putnam Counties along with the surrounding areas. We have extensive training in the latest real estate marketing strategies. With our experience we confidently offer you personalized assistance and tools most other agencies can not. 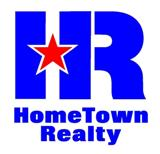 Hometown Realty looks forward to assisting you in all your real estate needs!